As part of our ongoing series of taking a closer look at teachers and staff here, we're thrilled to introduce you to Teacher Afsoon. 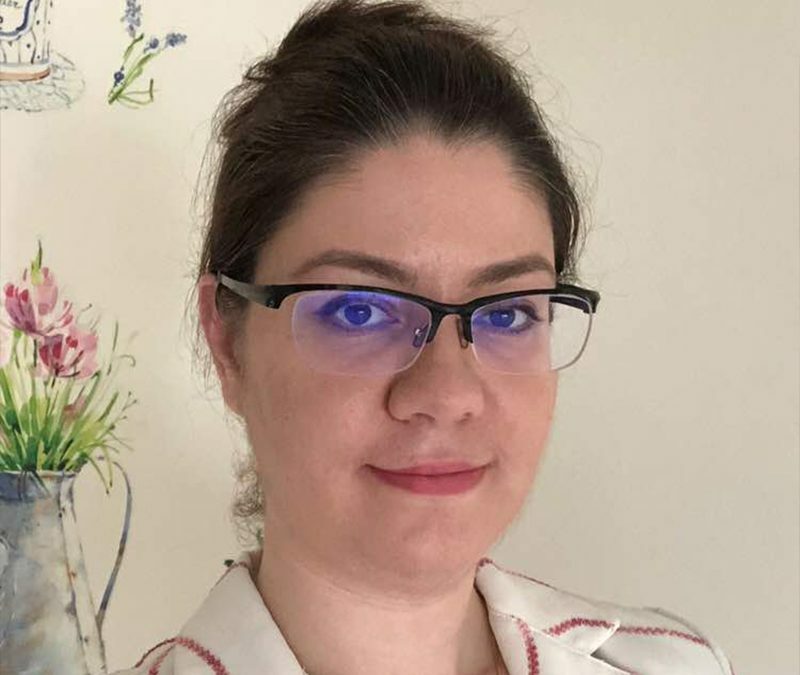 Find out more about this versatile international teacher from Iran and her take on all things education! I'm originally Persian, and I moved to Malaysia about 11 years ago. While all other kids at my primary school wanted to become astronauts, doctors, and celebrities (!) I wanted to be a teacher! Of course, like many other students, I kept changing my vision for my future and for a long while I settled on becoming an architect. My diploma started with maths and science, with special interest in arts. A few years later I fell in love with social sciences and gravitated towards educational psychology (which I did my masters in) and later multiculturalism in education for my PhD research. I started teaching while I was still doing my degree as an assistant lecturer and a volunteer in community development projects with the Baha'i community. And I’ve been a teacher ever since! How did you end up teaching physics and social skills with the ACE EdVenture Group? I had heard about ACE EdVenture and their rather unique methods and it matched my philosophy and the way I always believed education should be. After a meeting with Anne Tham (Ed: Founder & Group CEO of ACE) it wasn't so much about which subjects I wanted to teach at this school but mostly about "I want to teach at THIS school!". I chose two subjects according to my educational background, which were social science and science. I tried learning the approaches and the content by assisting other experienced teachers for a year to see in which subjects I would be able to teach better. As it turned out, I could teach both and that's what I have been doing for the past 7 years. You teach two very different subjects. Talk a little bit about how that came together, and how differently you approach teaching them. Teaching and learning are interactions between different elements: content, teaching materials, teaching approach, student abilities and also the very important aspects of the teacher's personality and / or teacher-student relationship. So as you can imagine, content is not the only thing that separates my lower sec physics classes from my upper sec social skill classes. I don't want to answer this too technically, suffice it to say that each class is unique. The uniqueness can be the result of elements like student abilities and how well I can create the teacher-student bond with them. At the same time, there are similarities in some of the other elements such as the teaching approach which in our school is very active and participative, discussion-based learning and letting students try to figure out the answers themselves. I have classes that I teach both social skills and physics to this year, and I try to keep a coherent presentation of "me" as a teacher, in both subjects. I think students also get that, as I can see they apply what I'm teaching them in social skills to my physics classes and vice versa. A recent example is when we were studying how a simple gesture of greeting or saying goodbye to people can take our social impact to the next level. Now I'm warmly greeted into the class and in the corridors every time they see me. Or in physics after we learned Newton's third law about action and reaction, one student mentioned in social skills class later that the consequences of our behaviour is like Newton's third law! It makes a teacher proud when students find creative applications for what they've learned and apply it to everyday life! There are plenty of misconceptions about what being a teacher is like. What would you say is the hardest thing as a teacher? Teaching science to lower secondary students isn't as easy as it looks, the main challenge is to simplify the very abstract and complicated concepts without butchering the framework! Once you master the art of teaching it's truly not really important what subject you teach, learning the material that you cover can be done rather fast. Let me use an example from the year 7 physics syllabus. When we teach them about circular motions we teach them how planets keep orbiting around the sun but do not collapse on it regardless of its strong gravitational pull. It's not so difficult to teach the centripetal and centrifugal force, especially when we take an open water bottle and spin it around in the class! Students observe with utmost attention that the water doesn't spill out on them! But then we extend this concept to the slingshot effect: Sometimes when a body gets trapped in the gravitational field of a planet, it takes a short circular ride on it and then moves on to the next planet without getting trapped in an everlasting orbit. My approach to this very complicated concept is by personification. We pretend planets are alive and they can hold on to something like an Olympic hammer-throw athlete would, and then spin it a bit and let go of it and the next planet will take it from there! There, you just learned the slingshot effect! If you weren’t a teacher, what profession would you have pursued? Teaching is not just my expertise and profession, it's a part of my personality. It’s an approach to life for me. Even if one day I were to pursue another career (perhaps interior design which is my hobby, or doing research in multiculturalism to follow the path of my PhD) I would still be a teacher in my volunteer community building activities and of course a teacher to my son! As I said earlier teaching is an art. You need to know the content but that's the least of the skills you need to master! You need to learn how to pass that knowledge in the most subtle way possible. There is a natural resistance to learning when it's forced in a top-down way to a teenager! You also need to create a strong bond with your students. Gain their trust and respect which is not always so easy with 15 year-olds, especially if their previous years of schooling experience taught them to fear the teacher instead of being open to him or her. Then you need to be creative in ways you convey the lesson, to find a variety of methods catering to a variety of tastes and abilities of your students. But the toughest part is being a role model. A role model who isn't afraid of making mistakes and failing, someone who can show her or his frustrations, who can be totally human, getting angry and sad, but then getting back on track to solve the problem. Someone who can be brave, who allows students to see how trying different methods persistently will get the results. Someone who can manage their emotions, apologise if needed, correct his or her mistakes, being forgiving and moving on. Being honest, resilient, curious, gentle, and not afraid to ask for help - there are just so many things which make teaching quite a tough job but the great thing is that I am surrounded by colleagues here who display all these traits on a daily basis. What would you say has been your favourite moment so far as a teacher? Teaching is a very rewarding job. You can see immediate result for your efforts, the change in the students' attitude towards work and their gradual progress in class. A majority of students understand how deeply you care for them, they show appreciation in their own ways, and reflect the love and care right back onto you. I can give you a very recent example where a group of my students broke the lab rules in the science lab. Being punished to go back to class and somewhat scolded, they sat in class quietly while I continued teaching. All of a sudden one student stood up, made a brave public apology, without blaming the incident on anyone else and accepted the responsibility of his mistake, promising not to let this happen again. It was such a proud moment for me as a teacher to see this level of maturity at such a young age. I decided to share this with their parents and they were in tears when I told them! Moments like this happen often in our classes and they make every little trouble we go through as a teacher worth it. That about wraps it up for us but as always, we've got one last question: If there was only one thing you’d want your students to take away from you, what would it be? I would want to see my students find the center of motivation in themselves and not in parents pushing them or the outside world pulling them. I'm hoping for students who don’t study to avoid failure, nor to get good results. The motivation should come from an innate curiosity, a thirst for knowledge. I would like them to strive because they want to know, and because they want to achieve excellence. I also hope my students reach that level of maturity to think about the global consequences of their actions to figure out what’s right or wrong. Giving them a long list of what is right and what is wrong is no longer applicable to the complicated world of tomorrow. Not to mention that there are so many grey areas in this list that people disagree on! Instead I want them to have an appreciation for beauty in their heart. To get attracted naturally to what is beautiful, whether it's beautiful words or beautiful actions, or beautiful ideas and conceptual frameworks, hoping that this inner scale can help them judge between the good and the bad. Helping them to live a noble life with good conduct, and with clear, exalted visions of how to improve themselves and the world around them. Wonderful words to end our conversation with, thank you very much!